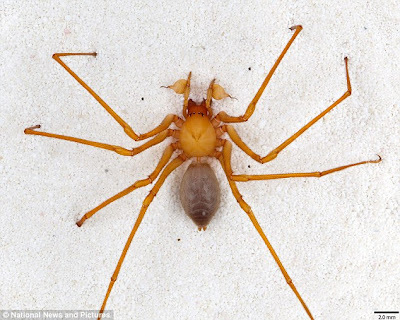 The 'cave robber', a newly discovered spider believed to be one of the most 'evolutionary unique' on the planet. It was found in Ohio. A spider so unique it has been classed as an entirely new family has been found in a cave in Ohio. Known as the 'cave robber', it is described as a fierce and specialised predator. It has also been dubbed 'the bigfoot of the spider world' because of its giant claws and proximity to a popular area for claimed sasquatch sightings. 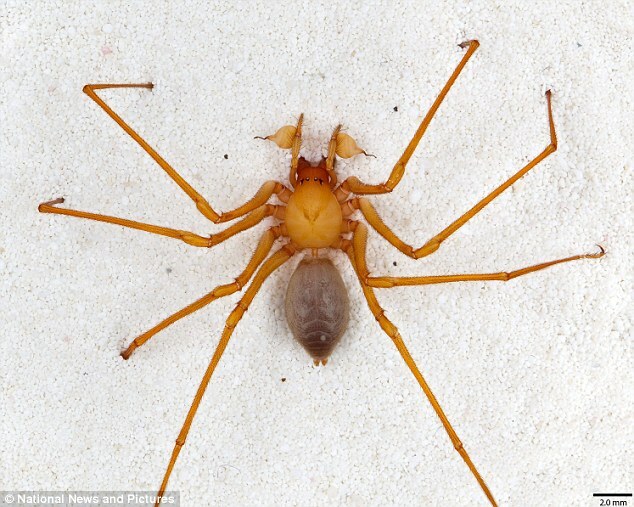 The spider, which is 4cm wide including its legs, was found in caves in southwest Oregon and is so evolutionarily unique it has been classed not only as a new genus and species but a new family. Known as Trogloraptor, or cave robber, it was found by citizen scientists hanging beneath rudimentary webs on cave ceilings, reports the journal Zookeys. The 'caver robber' has remarkable, raptor-like claws. 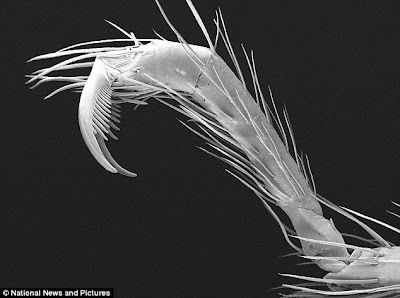 Although it is new to science researchers believe it is a close relative of goblin spiders. Although it is new to science researchers believe it is a close relative of goblin spiders, but it possesses a mosaic of ancient, widespread features and evolutionary novelties. Dr Charles Griswold, Curator of Arachnology at the California Academy of Sciences, said: 'Their extraordinary, raptorial claws suggest that they are fierce, specialised predators, but their prey and attack behaviour remain unknown. 'It is named for its cave home and spectacular, elongate claws. 'It is a spider so evolutionarily special that it represents not only a new genus and species, but also a new family (Trogloraptoridae). 'Even for the species-rich insects and arachnids, to discover a new, previously unknown family is an historic moment. The discovery of these arachnids is so recent, even how big their family is was unclear, say researchers. They have since found similar spiders—juveniles either of the cave-dwelling species or a different one in the Trogloraptor lineage—inside large hollow redwood logs in the nearby forests of northwestern California.